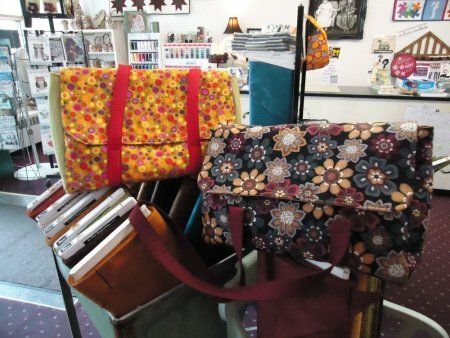 This bag is so versatile you're going to love it! 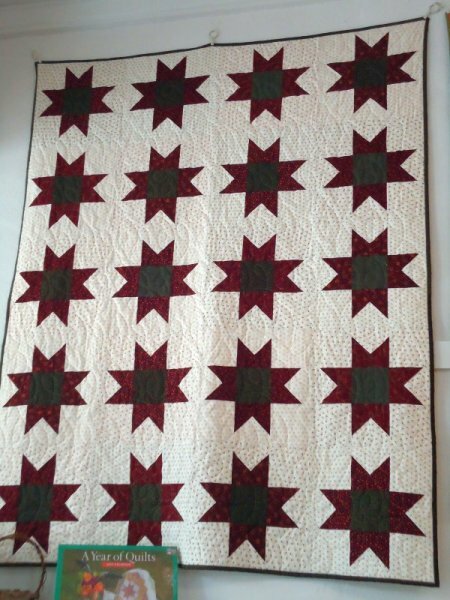 Our sample is made using a variety of shirtings fabric which makes the stars just pop. 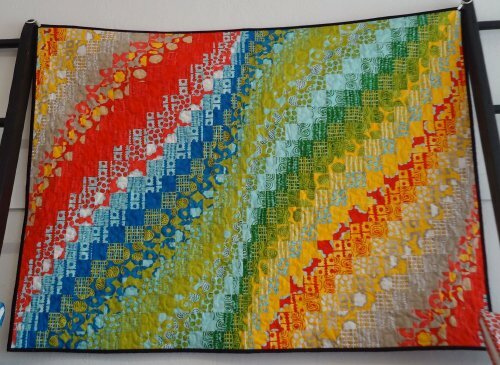 Choose your own colors and you'll be off and running once you master the block for this quilt. Believe it or not, this is a disappearing 9-patch. You'll never look at fabric the same way again! You'll ask yourself how it would look as an umbrella? 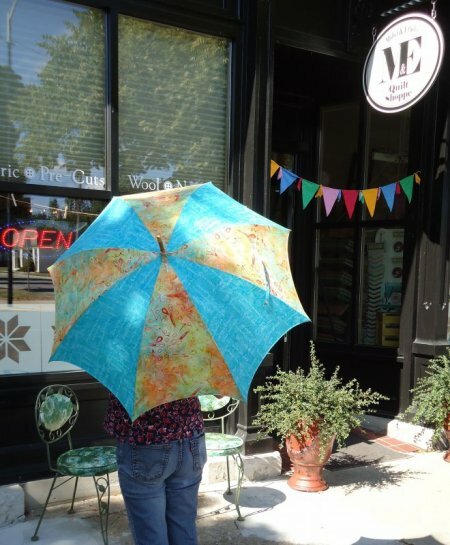 Gorgeous wood handled umbrella made with any fabric you choose! Back by popular demand. Two classes to choose from. 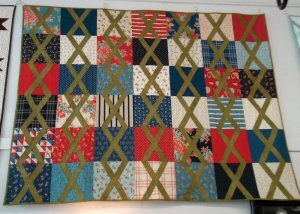 Look how different this quilt can look based on the fabrics that you choose. 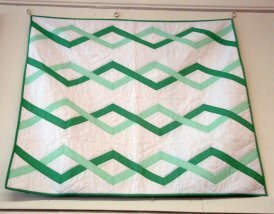 The pictures just don't do these quilts justice, stop in and see them in person.